The head of European Union Foreign Affairs and Security Policy has met with Lebanese leaders in the first such official visit to the country since the resignation of Prime Minister Saad Hariri, who has since returned to his post. 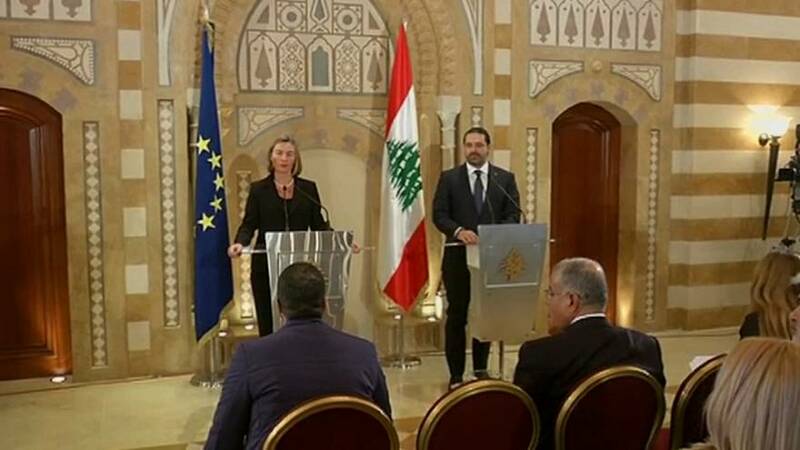 Federica Mogherini expressed “satisfaction” at his return to Lebanon and said the EU expects full implementation by Lebanese parties of the so-called dissociation policy, aimed at insulating the tiny country from regional conflicts. Hariri announced his surprise resignation last month in a bizarre televised address from Saudi Arabia. He has since revoked his resignation following a consensus deal reached with rival Lebanese political parties, including the Iran-backed militant group Hezbollah, to avoid regional entanglements. Answering about Syrian refugees returning to their homeland, Mogherini said a political solution to the conflict was necessary before 'voluntary' and 'dignified' repatriation could be considered. Mogherini added that the situation in Syria was 'more tense' than 'some people' want the EU to believe. During her visit to Lebanon, Mogherini also met with Lebanese President Michel Aoun, Foreign Minister Gebran Bassil and Speaker Nabih Berri.